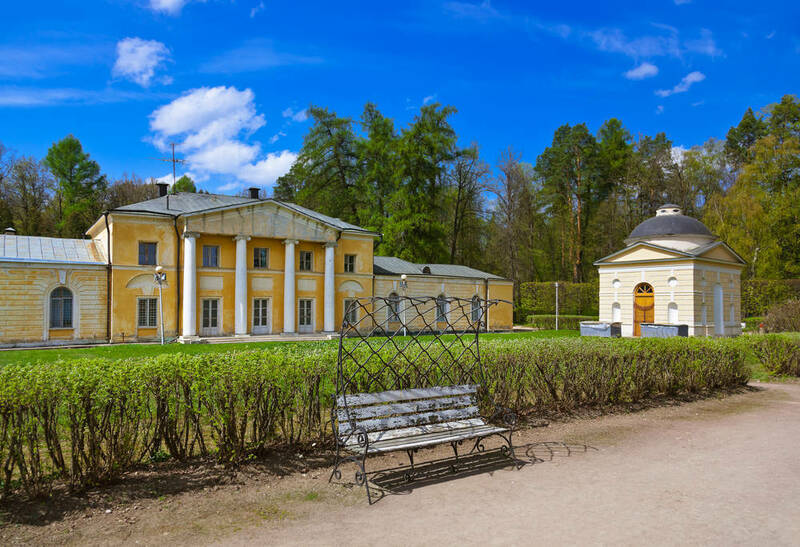 Arkhangelskolye is a museum, a country estate and a Russian cultural monuments that once belonged to some of Russia’s richest aristocratic families – the Sheremetevs, the Golitsyns and the Yusupovs. 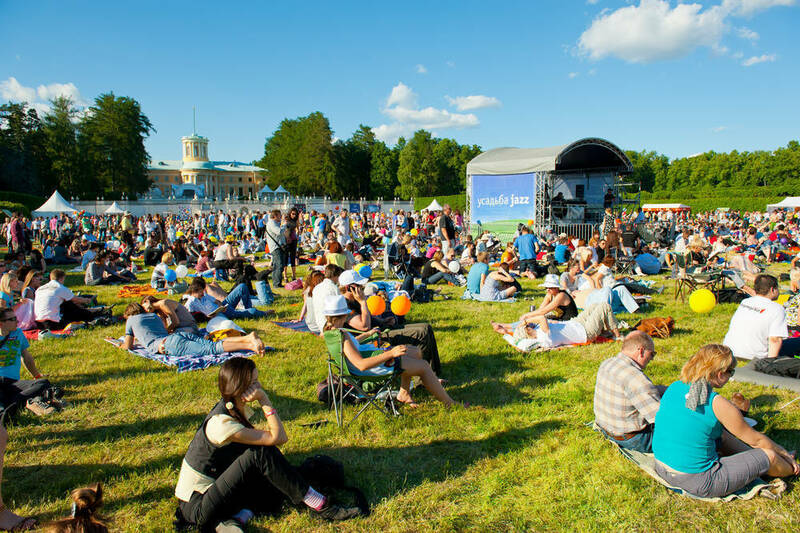 Here, you will discover the splendour of olden times, will explore the renowned French park and will enjoy the picturesque shore of the former riverbed of the Moskva River. 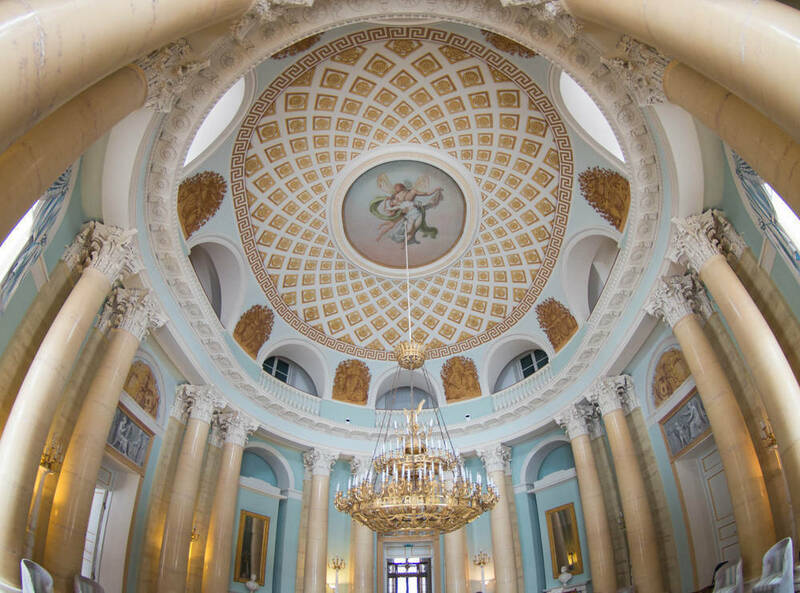 The ‘colonnade’ of the Yusupovs’ family vault, St. Michael’s Church and the Tea House are among the jewels of Russian architecture. Gonzago Theatre is the creation of Pietro Gonzago, a well-known stage designer, and home to some of his works – big canvasses representing illusionary painting. 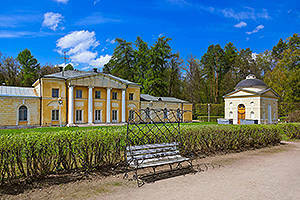 Visitors are offered several guided tours (in English, among others) around the country estate, the park and the Museum’s rooms. 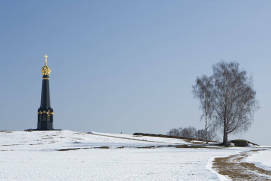 The Arkhangelskoe Memorial EstateRussian: Muzey-usadba Arkhangelskoe or Музей-усадьба Архангельское is a wonderful place near Moscow, not far from KrasnogorskRussian: Красногорск. 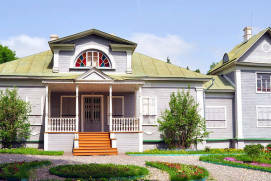 It is a unique example of Russian cultural heritage, as it is the former estate of Russia’s wealthiest aristocratic families of the 18-19th centuries. These families include the Sheremetevs, the Golitsyns, and the Yusupovs. 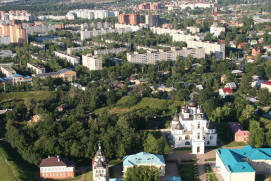 The park in Arkhangelskoe is known as one of the best in the country. 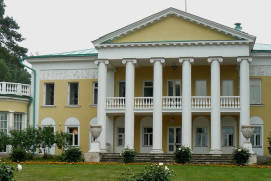 The manor house in Arkhangelskoe, and the estate in general, reflect the splendour of time gone by. 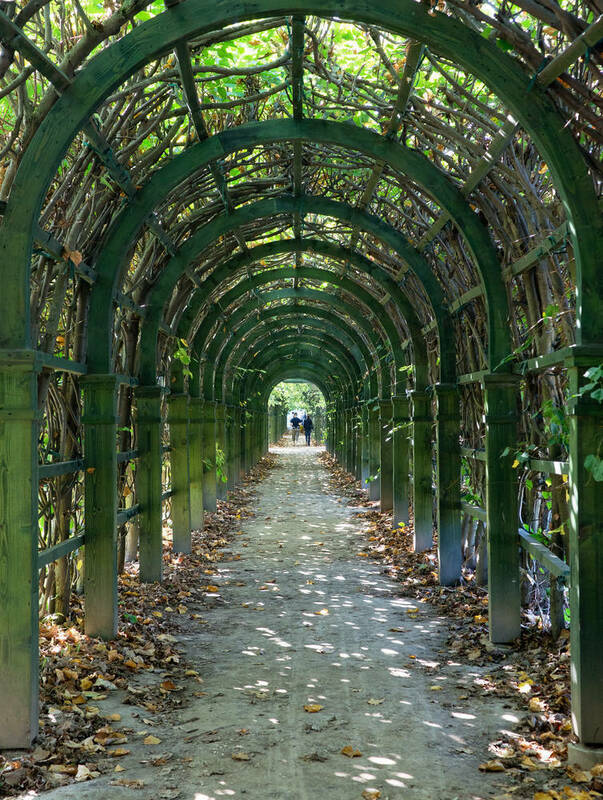 They feature unparalleled interiors, collections of artwork, and a famous formal garden designed in the French style, with regular walkways, well-groomed bosquets and the finest specimens of garden sculpture. The palace and park are located on the banks of what used to be the riverbed of the Moscow RiverRussian: Moskva-reka or Москва-река. As soon as you take just a few steps away from the manor house, you find yourself face to face with nature. The surname of one of the first owners of the estate, Fyodor Sheremetev (1570 — 1650), is particularly well known throughout Russian history. 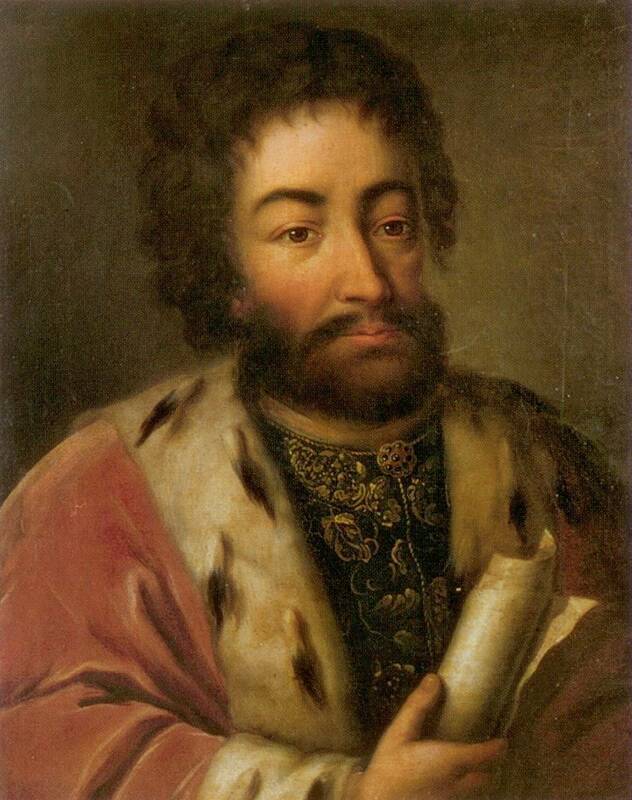 His deeds during the Russian-Polish wara major conflict between Tsardom of Russia and the Polish-Lithuanian Commonwealth in the early 17th century prompted Mikhail Romanovthe first Russian Tsar of the house of Romanov after the zemskiy sobor of 1613’s ascension to the throne. 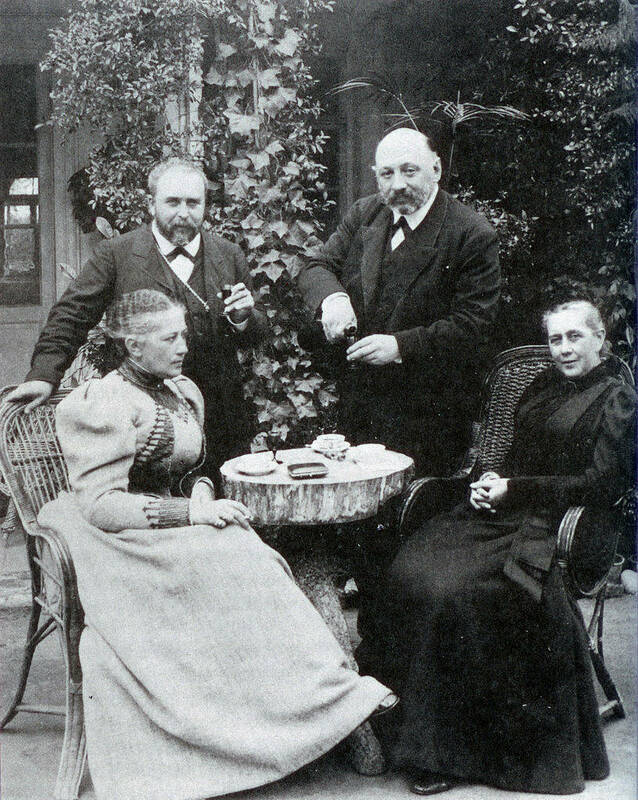 Among the later estate owners, (the estate was called UpolozyRussian: Уполозы at the time), were princes Odoevsky and Cherkassky. 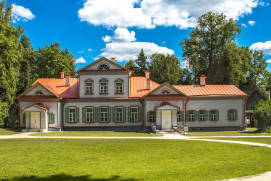 Throughout the 18th century, the estate belonged to the Golitsyns. 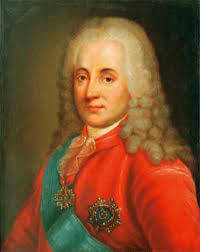 Prince Dmitry Golitsyn lived there for a long time; he was a close associate of Peter the Greatruled from 1682 until 1725, dreamt of a parliamentary monarchy in Russia, and was accused of attempting to remove Tsarina Anna Ioannovnaruled as Empress of Russia from 1730 to 1740 (Anna of Russia) from power. 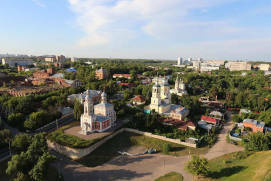 Thanks to Dmitry Golitsyn’s personal contribution, Arkhangelskoe began to turn into a suburban estate of a different style. 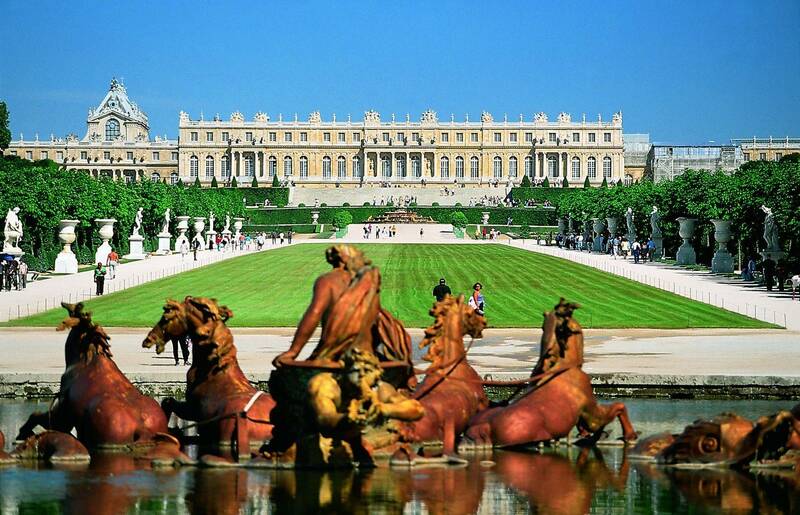 A wooden palace was built, as well as a French garden, and the Golitsyns’ famous library was transferred there too. 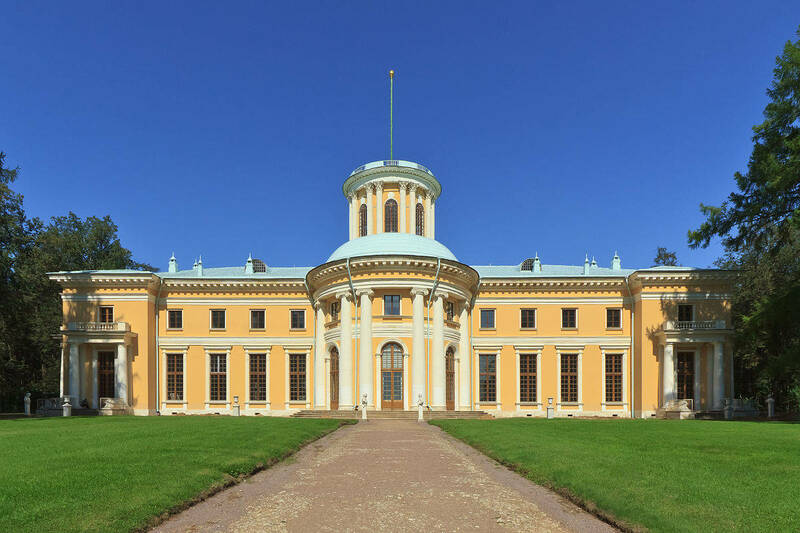 In the mid-18th century, Nikolai Alexeevich, Dmitry Golitsyn’s grandson, began to build a new palace, designed by French architect Gern with inspiration from Versailles. 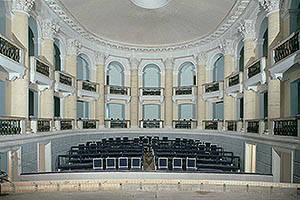 In the 1790s, two terraces decorated with marble balustrades were added. The balustrades featured vases and busts of ancient characters, which was fashionable at the time. The terraces were reminiscent of the hilly Versailles, because this uneven landscape near Moscow whose terraces sloped down to the river bore a strong resemblance to the Parisian suburbs. 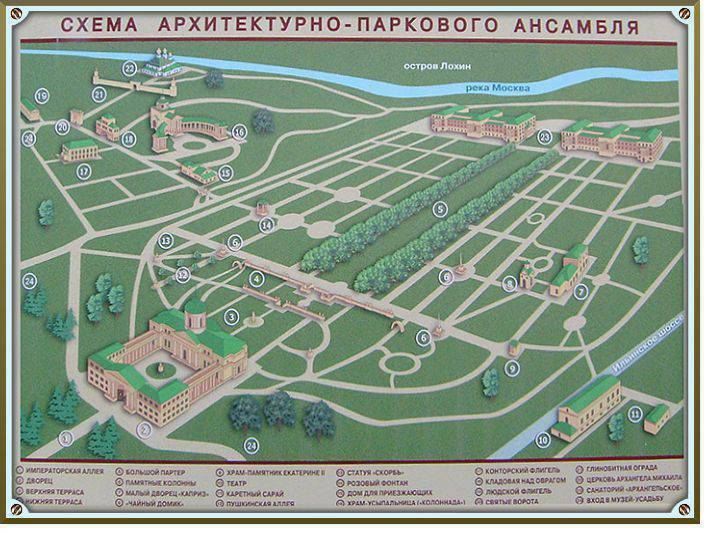 As a result, in Nikolai Golitsyn’s time, a large-scale complex took shape in Arkhangelskoe comprising of an austere classical palace, a formal French-style park, a small palace called CapriceRussian: Kapriz or Каприз, two greenhouses with residential outhouses, a riding arena, various obelisks and park pavilions. 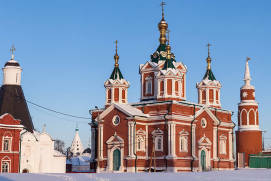 At the same time, the aristocratic name Arkhangelskoe displaced the original name Upolozy thanks to the church dedicated to Archangel Michael. 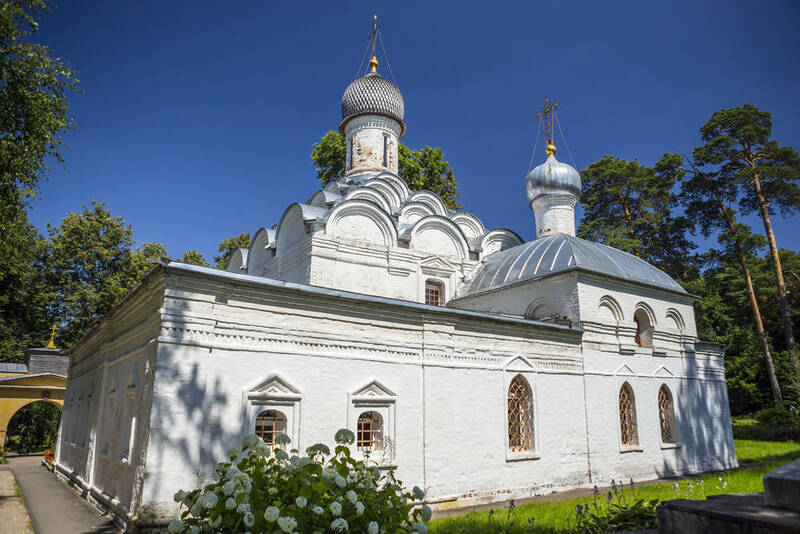 In the 17th century, this stone church was built on the site of its wooden predecessor and is now the oldest structure in Arkhangelskoe. 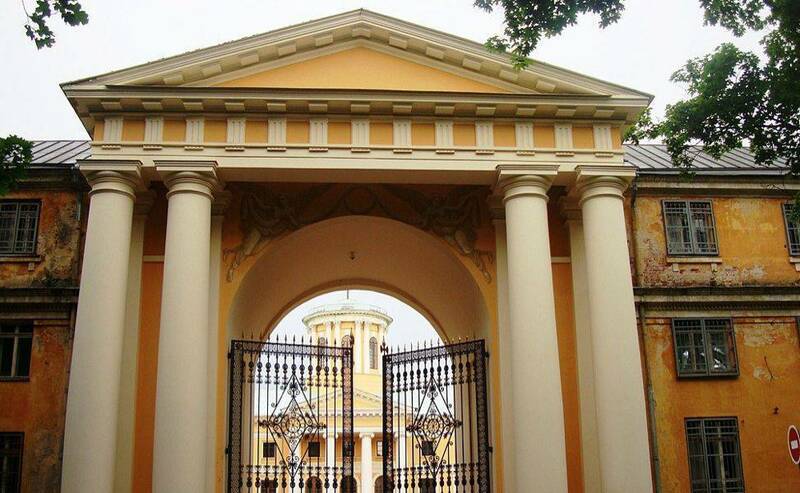 Arkhangelskoe had its heyday in the early 19th century, after it was purchased by Prince Nikolai Yusupov, a prominent statesman and art patron. He acquired Arkhangelskoe “not for profit, but for fun”, which speaks volumes about what he subsequently did with the property. 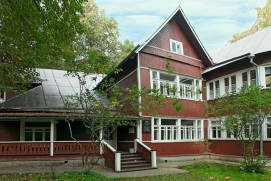 He intended to make Arkhangelskoe the home of his collections of paintings and sculptures, which he had acquired from all over the world. 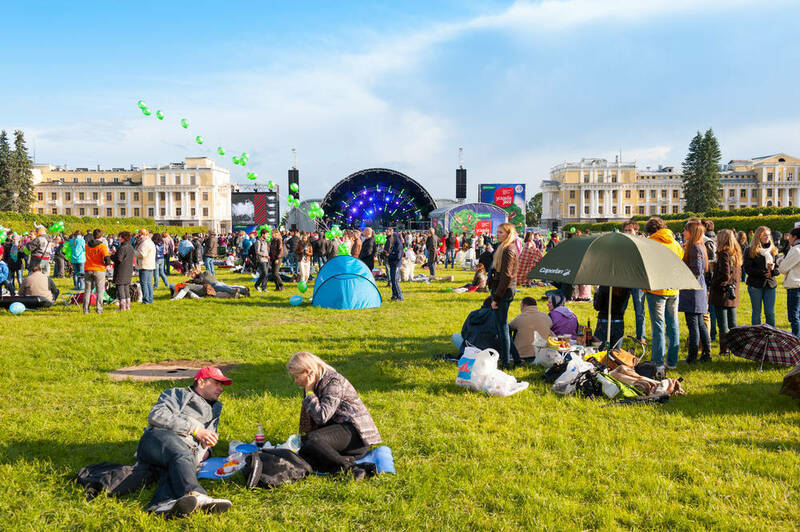 Arkhangelskoe was conveniently located close to Moscow on the way from St. Petersburg, which was then the capital of Russia. This location helped Yusupov’s estate become the centre of social life. 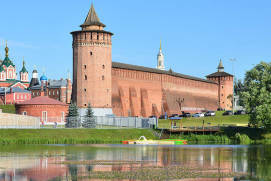 It was visited by a myriad of Russian emperors, from Alexander Ireigned as Emperor of Russia from 1801 to 1825 to Nicholas IIthe last Emperor of Russia, ruling from 1894 until his forced abdication in 1917. The poet Alexander Pushkin visited a few times; A. Herzen, a distinguished 19th century public figure, wrote a lot about Arkhangelskoe. 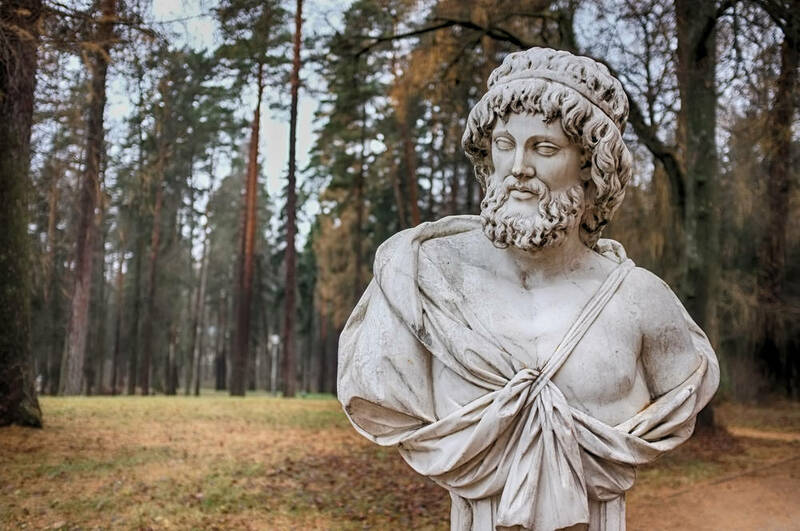 With time, many visitors to the estate were honoured with personal busts, which supplemented the existing collection of sculptures; columns topped with eagles were erected to commemorate the emperors’ visits. Arkhangelskoe has certainly had its ups and downs; one of the saddest episodes in its history was 1812 and the war with the Napoleon. 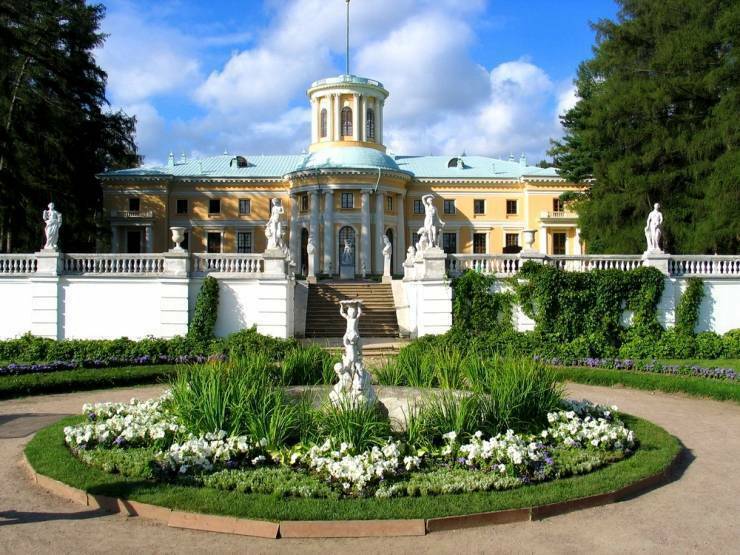 Yusupov’s collections were hastily transferred to another estate, but the Arkhangelskoe estate was still looted. 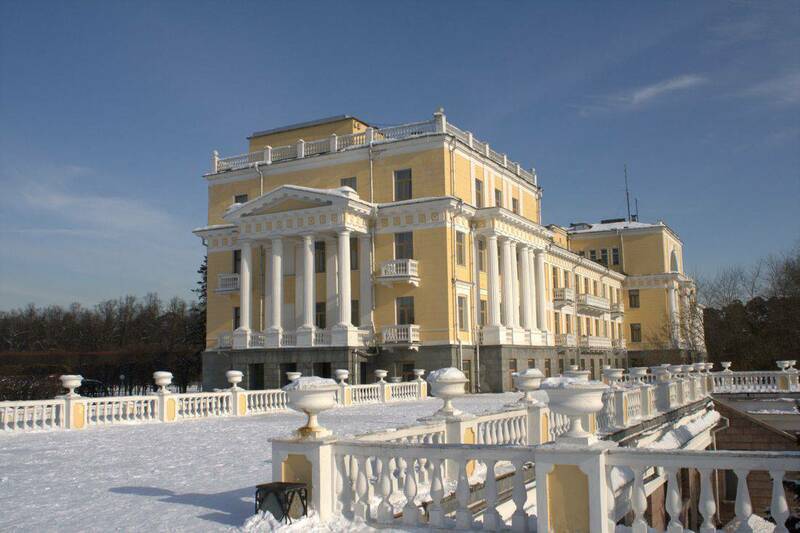 After the war, Yusupov restored of the estate in the period style, so today we know Arkhangelskoe as an excellent example of classicism with some features of the post-war Empire style blended in. Bovéan Italian-Russian neoclassical architect who supervised reconstruction of Moscow after the Fire of 1812, Strizhakov (a talented architect and a serf of the Yusupovs’) and many other prominent Russian architects contributed to the restoration work. 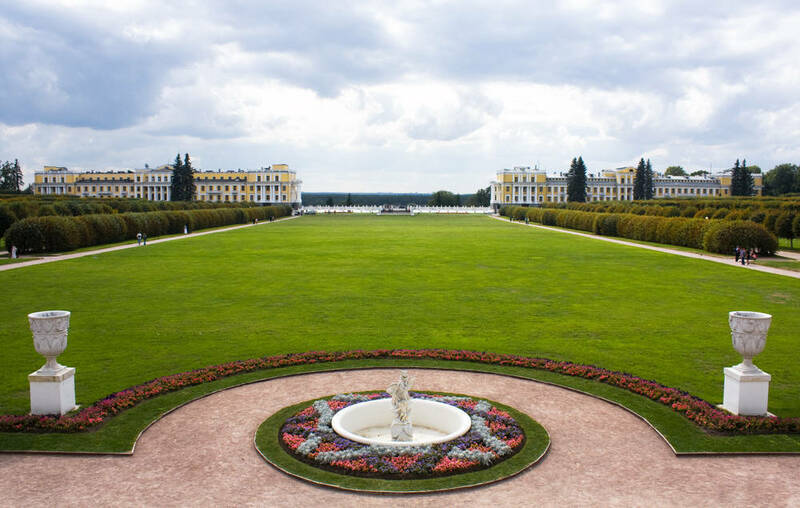 Yusupov completed Arkhangelskoe and turned the complex into a “Versailles near Moscow”, as was originally conceived by Nikolai Golitsyn in the 18th century. This sight is located far away from the city center, and it is comfortable to use a taxi to reach it. 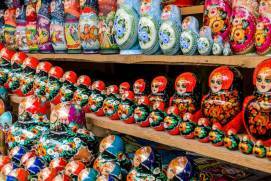 If you are interested in Moscow taxi fare, you can read about it on our website page “Taxi in Moscow”. No matter from which direction you approach the manor house, you will walk along densely grown walkways on your way to the centre of the estate. Gradually, the trees part and a surprisingly elegant manor house located on a hillside comes into view. In front of the manor there is a cour d’honneur, or ceremonial front yard typical of the period hidden behind the gate. 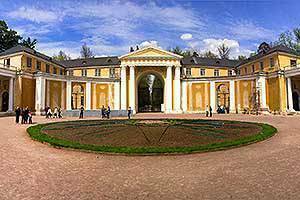 To get onto the land of the manor, visitor walk under a formidable triumphal arch which immediately sets the tone for the visit; even the path leading to it is known as the ImperialRussian: Imperatorskaya or Императорская walkway. 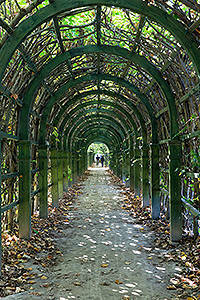 After you walk under this arch, make sure you have a look behind you. From the inside, the arch has an unusual design – there are exquisite walls with no principal supporting function concealing the corners of the massive gate ,thus giving it a more streamlined appearance. A similar method was used by the ancient Romans in Trajan’s Forum in Rome. Having entered the yard, what you see is reminiscent of the French Rococo style. After the era of Louis XIV, a time when private life was exposed to societal scrutiny, an era of much desired privacy came. During this time in France, mansions were built with seclusion in mind, with large blind gates and sometimes small gardens inside. 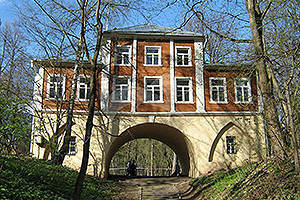 However, the Arkhangelskoe estate is located in a forest, away from any other buildings. 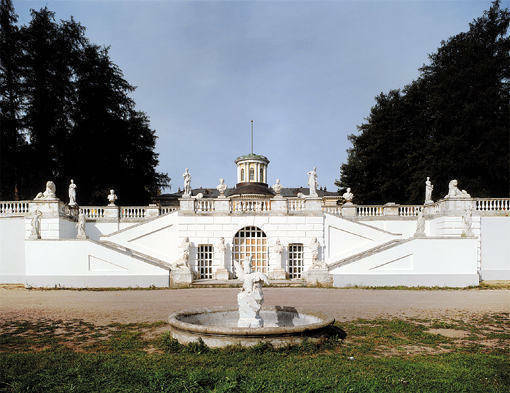 Nevertheless, having borrowed some of the details of the Rococo style, the architects used them in their own way. 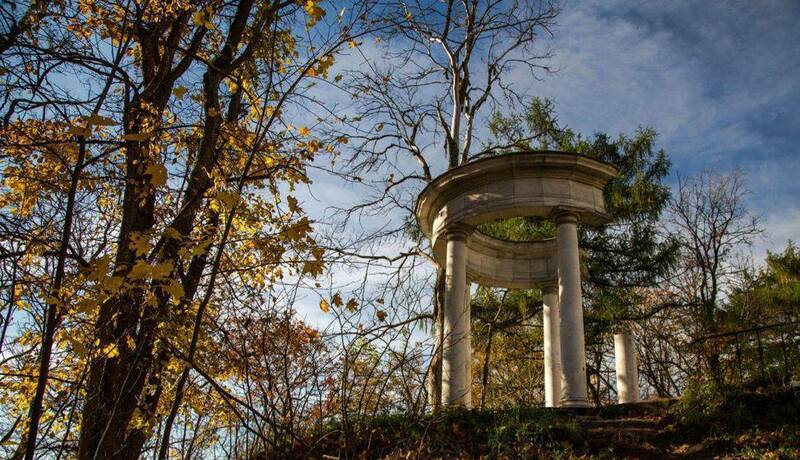 The сour d’honneur, for example, sheltered on all sides at first sight, is in fact surrounded by elusive transparent colonnades. This building is an excellent example of early classicist architecture. It is highlighted by a four-columned portico and a small lamp with a spire which appears to dominate its appearance. The centre of the building is marked by a rotunda which extends from the side of the French garden. This feature was often used in manor buildings in order to unite the architecture with nature. 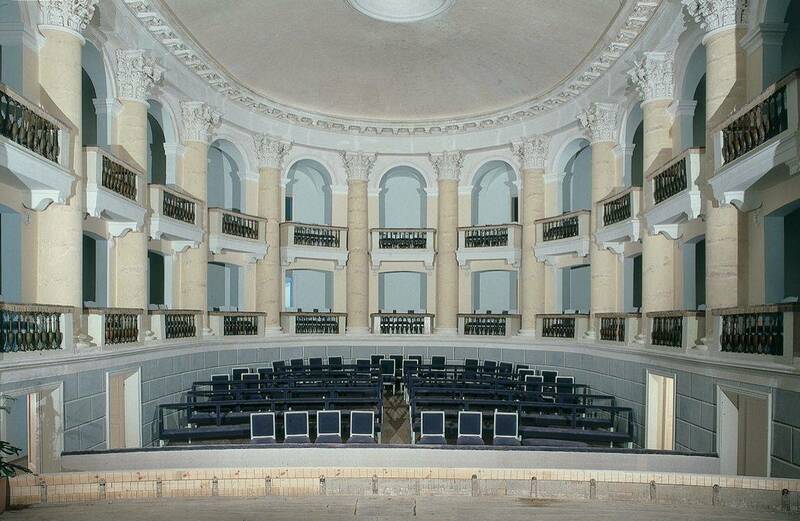 Both the rotundas and the building wings have French windows which are long and reach the floor. These can be opened in summer, enhancing the sunlight and greenery. 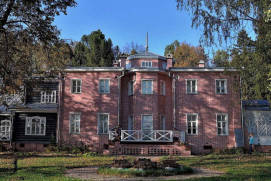 Extensive collections of artwork were kept in the Grand manor house. There was a library here, together with scenic paintings by artists who lived during that time, Yusupov’s contemporaries, and sculptures. Later, the Prince took an interest in arts and crafts, in particular, oriental porcelain. 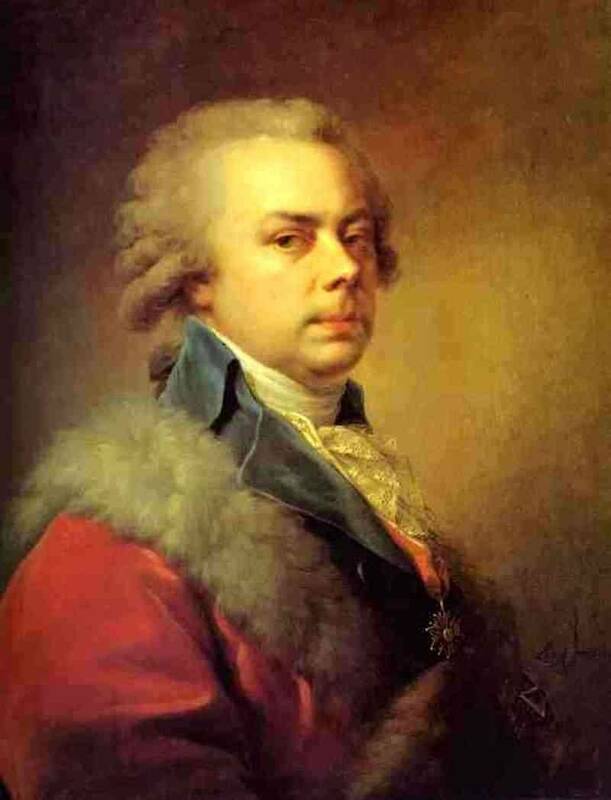 Yusupov was one of the first to pay attention to French paintings of his time in the Rococo and neoclassicist styles. It is for this reason that we now see paintings by Greuze, Fragonard, Vigee-Le Brun, David, Gros, and other outstanding artists of the era. Yusupov’s collection is still considered to be one of the largest in the world, even when considering the scope of some European collections. He also focused on classical Italian paintings and sculpture, for example, the creations of Canova, Correggio, and Guercino. 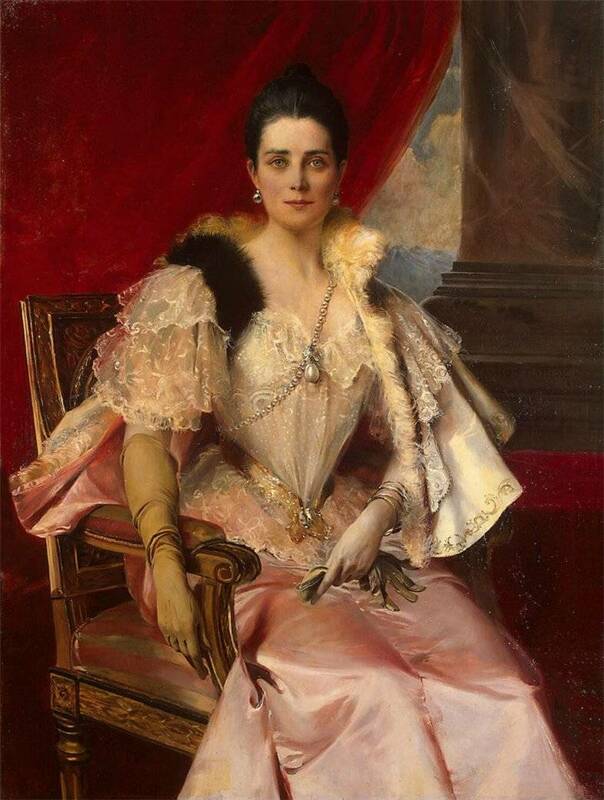 Yusupov’s collection even comprised works by Rembrandt and Velazquez works. The fate of some of these is not clear, while others were taken abroad by his offspring during the socialist revolution of 1917. This how two of Rembrandt’s paintings from Yusupov’s collection made their way to the National Gallery of Art in Washington. 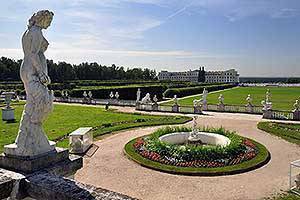 As you reach the river bank from the central rotunda, you approach one of the terraces of the parterre first and then walk down to another before you enter the garden. Bosquets with trimmed trees are located on both sides of the central walkway as is usual in a formal garden designed in that era. 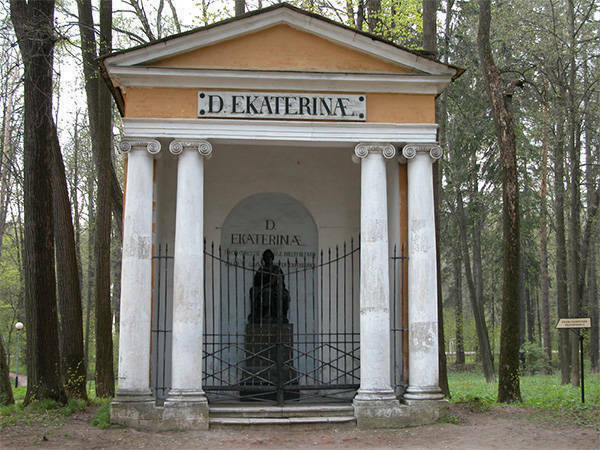 If you turn left behind the bosquets in the forest, you will see one of the columns dedicated to the Emperor’s visit as well as Pushkin’s walkwayRussian: Pushkinskaya alleya or Пушкинская аллея and the Pink FountainRussian: Rozovyi fontan or Розовый фонтан. 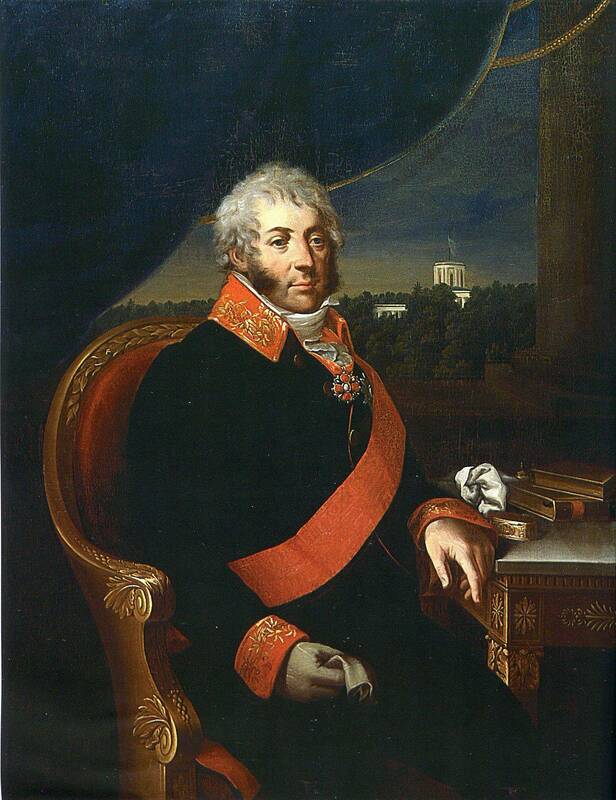 Close by, you will also find the Princes Yusupov Family VaultRussian: Khram-usypalnitsa knyazey Yusupovykh or Храм-усыпальница князей Юсуповых, a clerical outhouseRussian: Kontorskiy fligel or Конторский флигель, and a larder above the creekRussian: Kladovaya nad ovragom or Кладовая над оврагом. Beside the river is the Archangel Michael’s ChurchRussian: tserkov' Arkhangela Mikhaila or церковь Архангела Михаила. 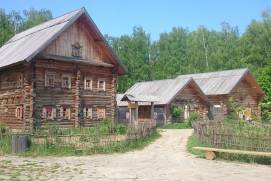 The so called ColonnadeRussian: Kolonnada or Колоннада, i.e. 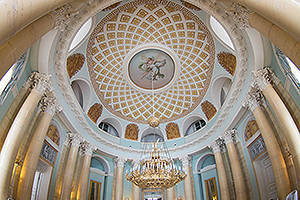 the Yusupov family vault, attracts attention due to its dimensions and the distinctiveness of its architecture. Its style is reflective of the eclectic period of the early 20th century, also known as the period of historicism. 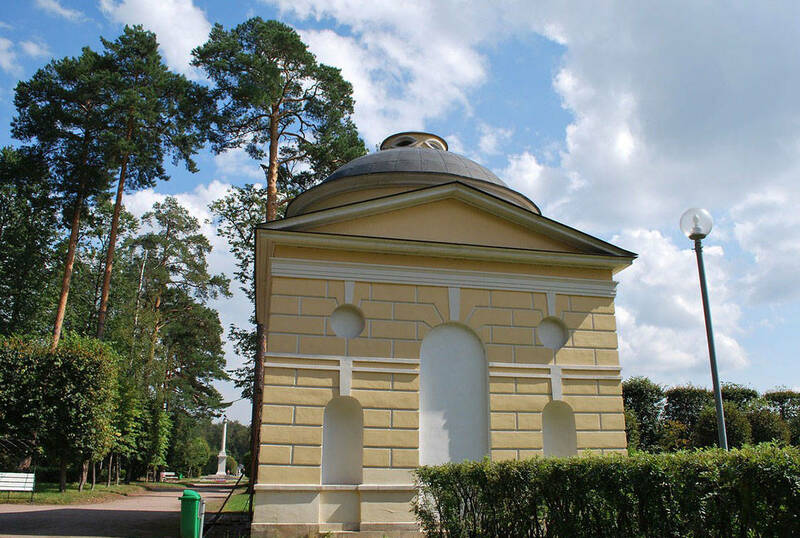 The construction of the family vault was prompted by the death of Nikolay Feliksovich Yusupov in a duel in 1908. 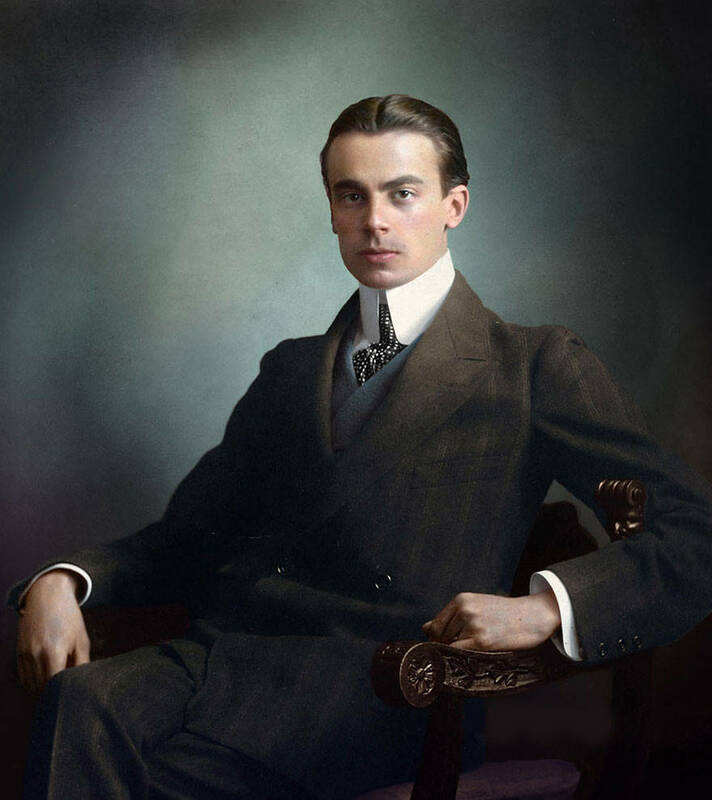 His parents Zinaida and Felix Yusupov chose a vault design based on the work of the famous eclectic architect Roman Klein, who was also behind the design of the Pushkin State Museum of Fine ArtsRussian: GMII imeni Pushkina or ГМИИ имени Пушкина. 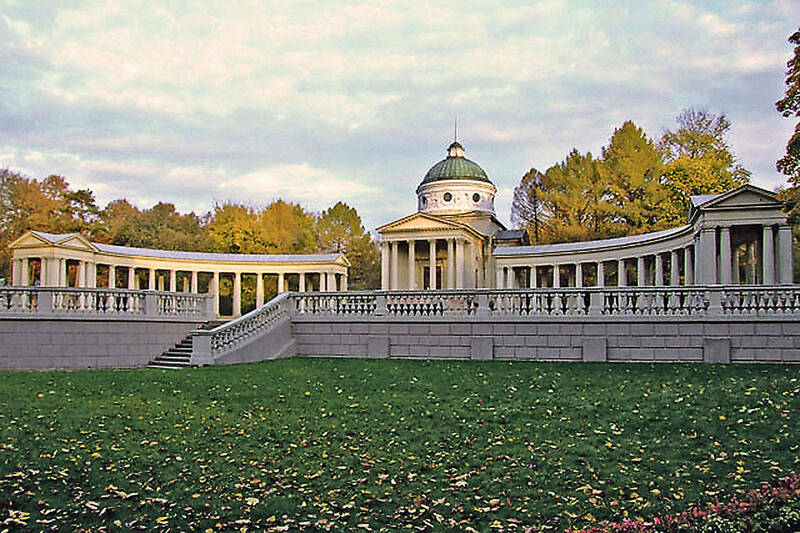 Many architectural elements of the Colonnade are reminiscent of the Kazan CathedralRussian: Kazanskiy sobor or Казанский собор, a well-known cathedral in Saint-Petersburg, which was turned into a memorial church dedicated to the victims of the 1812 war with Napoleon. Copying famous buildings or their individual elements is a typical feature of historicism. 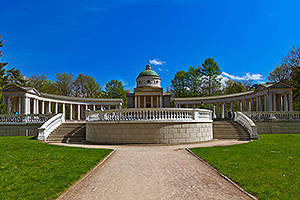 The Colonnade is mounted on a high base encircled with an elegant balustrade. 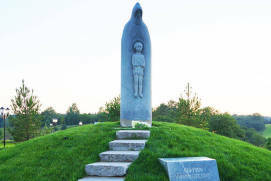 This opens up the monument to the world and the rest of the space around it. The Kazan Cathedral and its colonnades are an integral and solid body, while in Arkhangelskoe the two curving colonnades, so reminiscent of those in the Kazan Cathedral, are individual constructions unrelated to the main church. 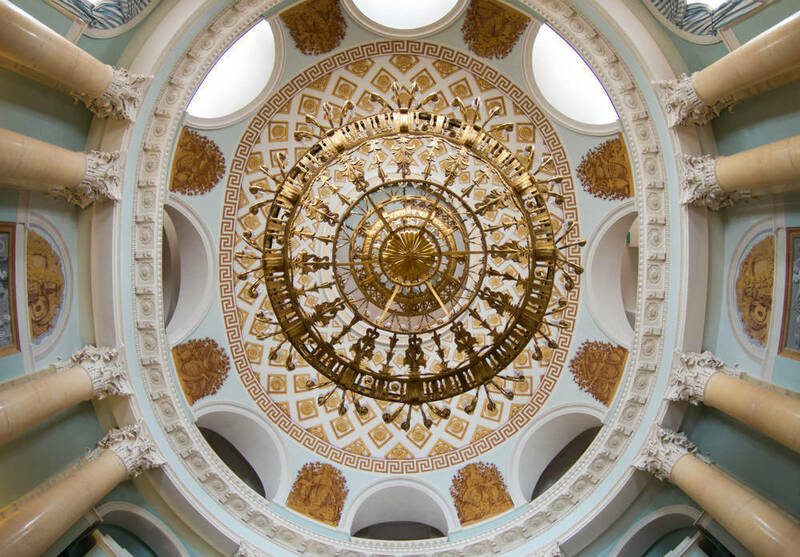 An abundance of ornate mouldings on the dome drum reveals that this section was constructed in the 20th century. Archangel Michael’s Church is the oldest building in the estate, dating back to the 1660s. 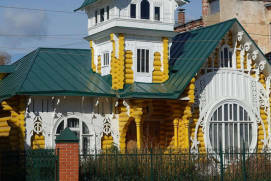 Particular attention should be paid to the so called “foam of kokoshniksa semi-circular keel-like exterior decorative element often featured in traditional Russian architecture”. In ancient times, Russian architects used this to cover the transition from the horizontal walls of the vault and the dome drum when viewed from the outside. 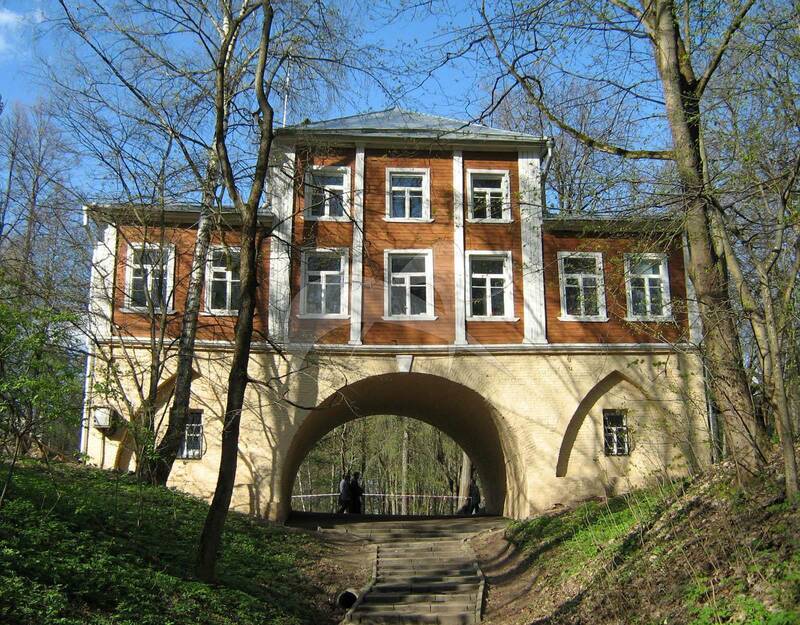 This elegant solution caught on in Moscow and became a distinctive feature of early Moscow architecture. 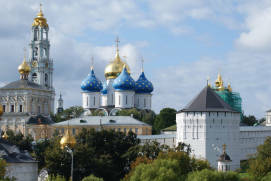 Later, it was adopted in both the Naryshkin Baroquea particular style of Baroque architecture and decoration which was fashionable in Moscow from the turn of the 17th into the early 18th centuries and Neorussian stylesbased on the use of the traditions of ancient Russian architecture and folk art. 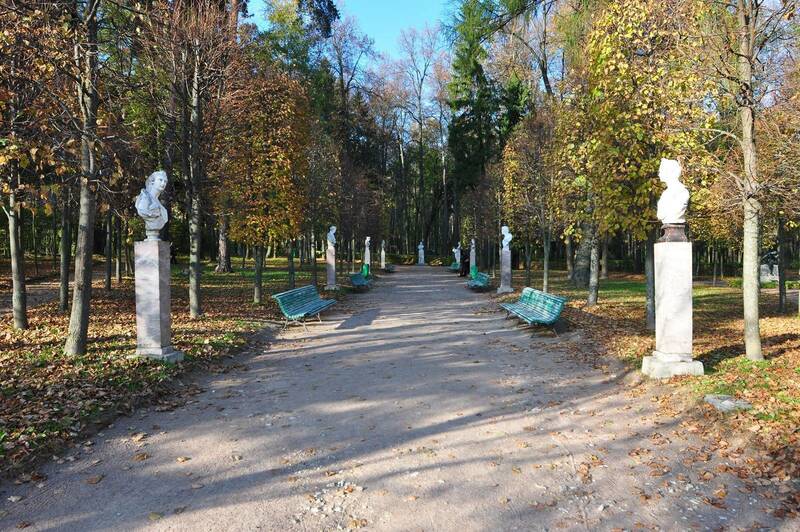 If you turn right from the side of the lower parterre of the Grand Manor HouseRussian: Bolshoy dom or Большой дом, in the distance close to Ilyinskoe motorwayRussian: Ilinskoe shosse or Ильинское шоссе you will come across the second Emperor’s column, a church built in memory of Catherine IIEmpress of Russia from 1762 until 1796, the country's longest-ruling female leader and its most renowned, the Small PalaceRussian: Malyi dvorets or Малый дворец “Caprice” and a tea houseRussian: Chaynyi domik or Чайный домик. 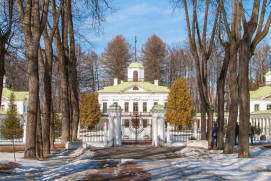 The Small Palace was used as a guest house right after its completion, while the small tea house looks like a park pavilion in the Hermitage style (a hermit’s dwelling). 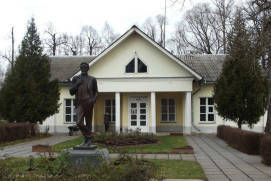 Across from the Ilyinskoe motorway, there is coach house and a genuinely unique construction – the Gonzago TheatreRussian: Teatr Gonzago or Театр Гонзаго. 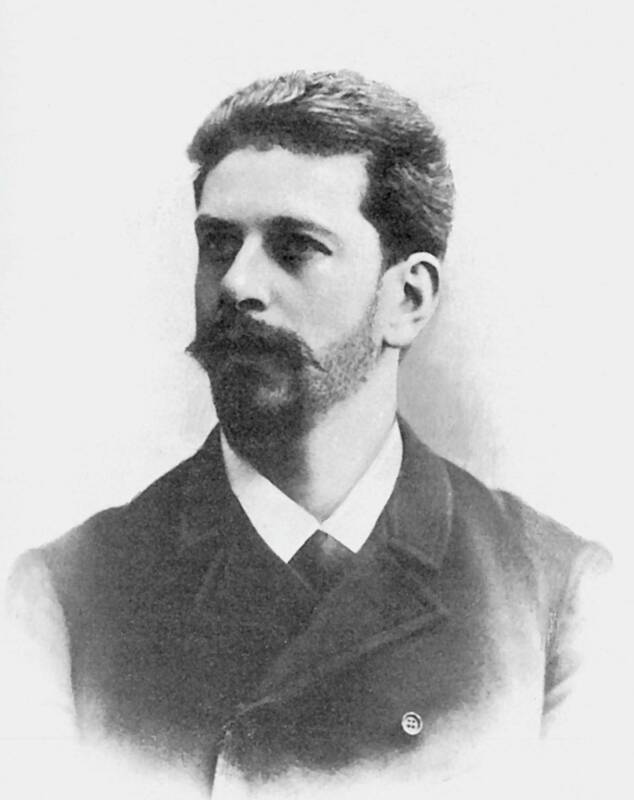 The theatre was established by famous stage designer Pietro Gonzago, but it was Yusupov who recognised the architectural talent in him. 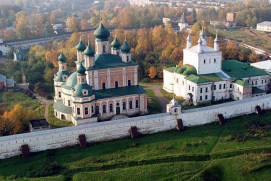 Some of Gonzago’s miraculously spared set designs are still kept in Arkhangelskoe. Only 4 out of the original 12 set designs still survive, as does the curtain used onstage. There are also large canvases covered with paintings, including the curtain “Church”, the set designs “Tavern”, “Prison”, “Roman Street”, and another which depicts a column hall. 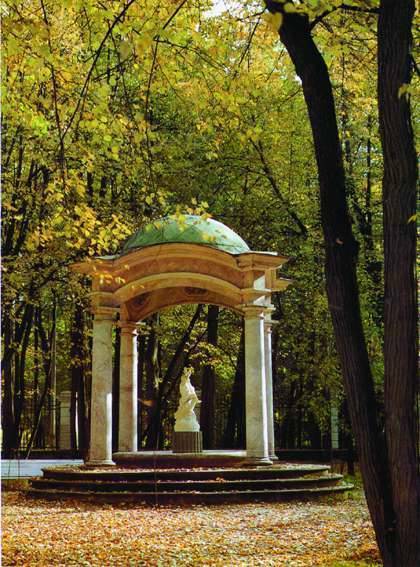 The walkway which starts from the round bow window on the Grand (main) Manor House going down from the park used to run freely towards the river. Today, it is still distinctive in its architecture. In the 1930s, right on the upland fringe almost by the river, two buildings which formed a health centre were built. These match the Grand House in their style and atmosphere, and only a professional can distinguish that they are not genuine 19th century constructions. The two buildings are linked with a terrace which runs smoothly to the river. It is worth noting that before the two buildings were built, there were two greenhouses on the site, although they were not particularly large. Unfortunately, the two buildings forming the health centre have been criticised for being too large, and obscuring the panoramic view over the river from the Grand Manor House. Having finished your walk along the main routes prescribed by the design of the estate, you can take a look around and choose which way to go next. You may choose to walk along the river bank or go uphill and continue to explore the park. 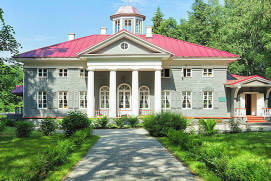 There are three tours available for visitors – “Arkhangelskoe, a Representative Estate of the Russian ClassicismRussian: Arkhangelskoe – paradnaya usadba russkogo klassitsizma or Архангельское – парадная усадьба русского классицизма”, “Arkhangelskoe Palace and Park EnsembleRussian: Dvortsovo-parkovyi ansambl' Arkhangelskoe or Дворцово-парковый ансамбль Архангельское”, and “Following the Museum Exhibition HallsRussian: Po vystavochnym zalam muzeya or По выставочным залам музея”. Monday, Tuesday and last Wednesday of the month (for expositions, the Park is open daily). 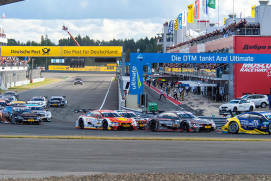 Photo and video are paid additionally. It is prohibited to make a fire, to walk on the grass, to walk pets, as well as to ride scooters, bicycles, roller skates. Drinking up alcohol is forbidden. Group tours are organized for individual visitors.